We’ve never done Elf on the Shelf. 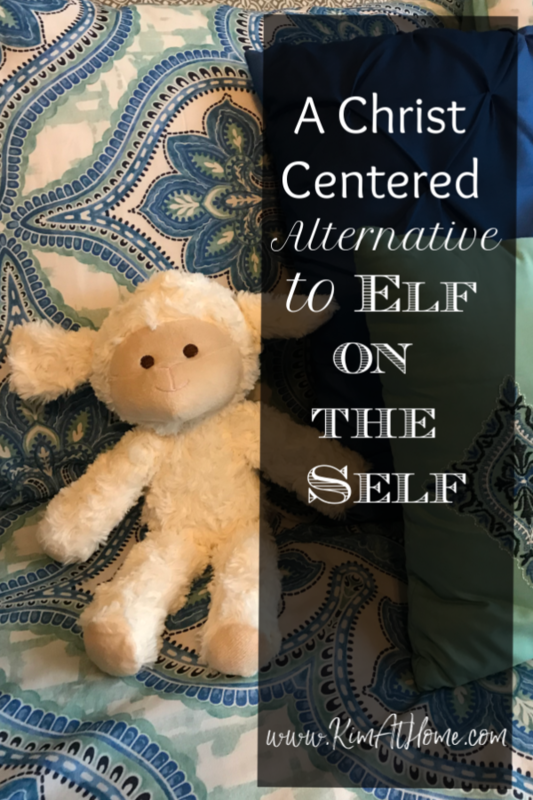 And every year my kids hear about it from other kids and at least one of them asks if we can have our own elf. And I say no. The biggest reason is that it is one more thing for me to have to do. And I don’t want one more thing to do . . . especially in December when we have Christmas, one birthday, and two birthdays coming up just days into the new year. But what if there was something we could do that would bring some “magic” into the house and help us celebrate the season a little better? Something that wouldn’t take a whole lot of extra effort on my part? 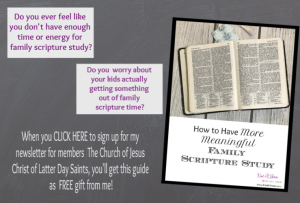 Something that would help my kids behave better but also would help focus us on Christ instead of Santa? 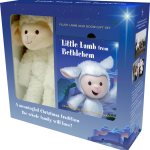 Well, we finally found the answer and this year we have our very own Little Lamb from Bethlehem. 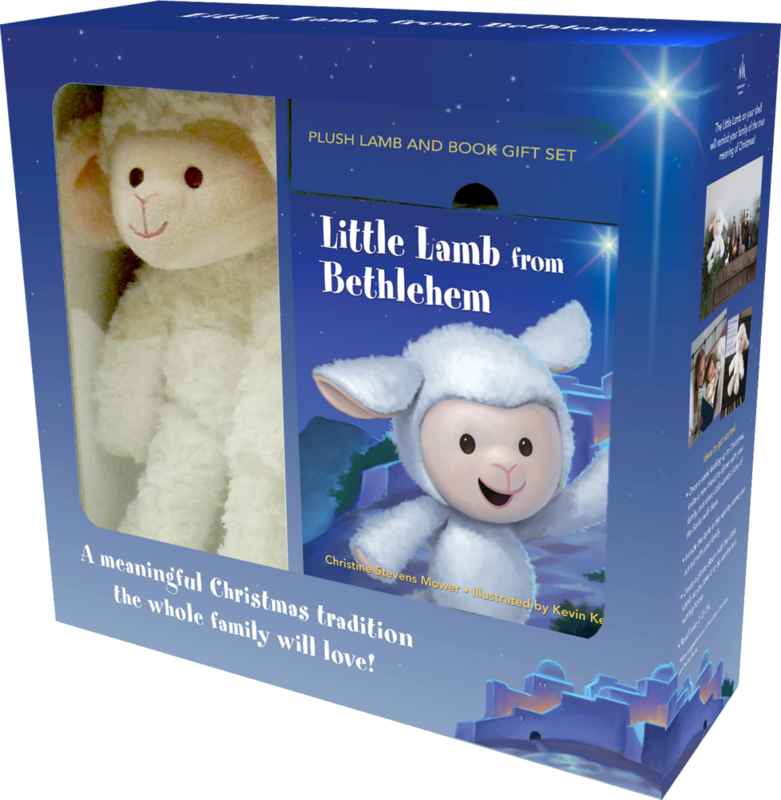 This is seriously the cutest little stuffed lamb with a book that tells the story of the birth of Christ in a simple way that children can understand, while also including the actual scripture verses if you want to read those as well. The lamb is supposed to help us remember Jesus throughout the Christmas season. And the book includes some ideas of how you can use the lamb. But we came up with our own. The Little Lamb from Bethlehem is supposed to help us remember to show more kindness, just the way Jesus did, so we can become more like Him. So, our Little Lamb is linked to service. If the Little Lamb shows up on your bed, that means that someone did a service for you and you have 24 hours to quietly do a service for someone else in the family and put lamb on their bed for them to find. We want him to stay looking nice, so the kids aren’t allowed to sleep with him. If its on their bed at bedtime, it gets moved to the dresser until they have a chance to do their service the next day. So, let me tell you about the cool thing that happened on our very first day. My daughter has been really ornery lately and she and I are butting heads a lot. She hasn’t been very pleasant to be around and most of her anger is directed toward me. After some prayer, I was prompted to have her be the first one to get the lamb and she gave her service to me. It was amazing to me that she picked to do something nice for me, even though she spends most of her time grumbling at me. And her attitude was a little bit better after that, too. I look forward to enjoying the rest of the Christmas season with a focus on service and love in our home as we try to become a little more like our Savior.